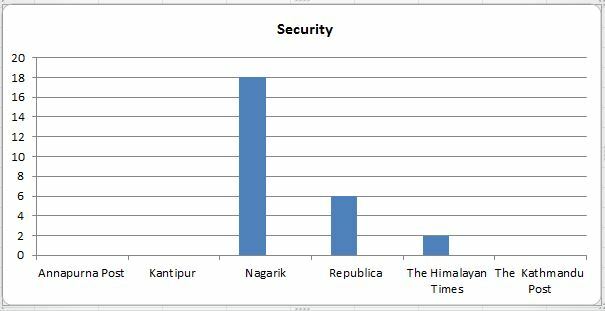 During the three months between April 1 and June 30, 2018, among the six major national dailies that we monitor, Kantipur daily trumped the others in terms of the use of anonymous sources in the front page reports. Kantipur used altogether 145 anonymous sources in the front page reports. 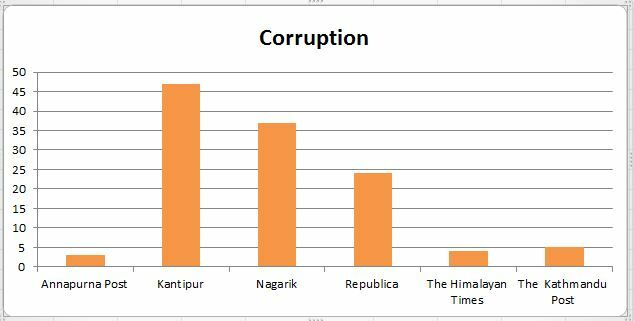 After Kantipur, the dailies using the most number of anonymous sources included Nagarik, Republica and The Kathmandu Post respectively. 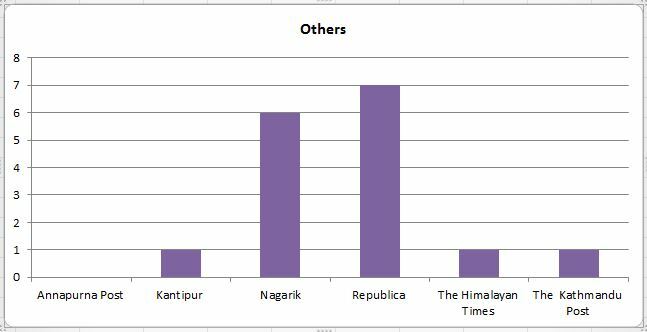 Annapurna Post used the least number of anonymous sources during the period. In the three months, it used 55 anonymous sources in its news reports. During the three months, the front page reports of the six dailies used altogether 653 anonymous sources. Most of the news reports on the front pages of the newspapers were on politics. Anonymous sources were also mostly used in politics-related news reports (in 150 instances) during the period. 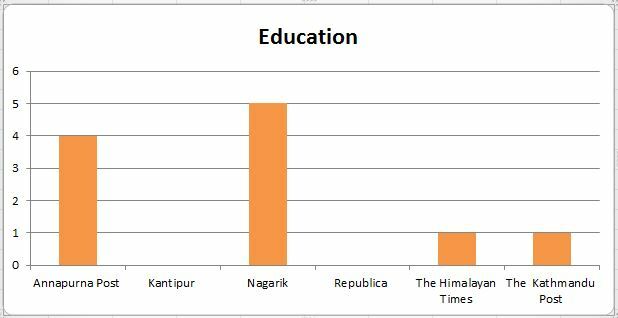 Republica and The Himalayan Times were the first and second national dailies respectively using the highest numbers of anonymous sources in their news reports related to politics; Republica used anonymous sources in 39 instances and The Himalayan Times in 32 instances in such reports. Diplomacy is the second topic in the Nepali newspapers where anonymous sources are used in highest numbers. 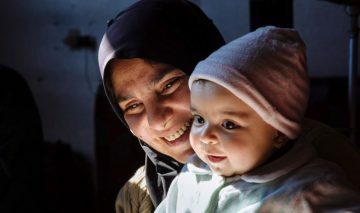 During this period, anonymous sources were used in 143 instances in diplomacy-related news reports in the six newspapers. 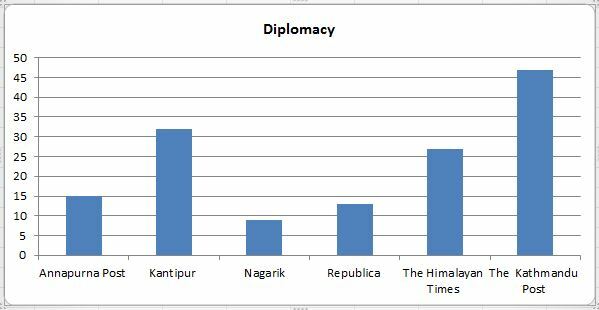 The Kathmandu Post used the highest numbers of anonymous sources in diplomacy-related news reports. “The weather was bad. An investigation was initiated following a complaint that the instructor pilot had taken the helicopter deep inside the clouds,” said a CAAN source. “Helicopters are supposed to be flown without entering the clouds. This is a mandatory flight safety rule,” said a senior CAAN official.